An increasing number of content generation sites can be monetised and the world’s biggest video platform YouTube is indeed no different. For vloggers, YouTube can be a great way to build up a decent income source and earn a few bob, and there are a number of ways of doing so. So, how do you go about making some money from your talents via YouTube content? YouTube runs its own partnership program for those who want to make some money directly via the medium and to be honest; it’s quite a good place to start. It’s relatively simple to use – you produce content, sign up to the program and in doing so agree to allow advertising to be shown on your videos. Users are paid for the advertising space and the amount of money you garner from the ads depends on the number of views a video receives. Be aware that the program is not all sweetness and light either, in that it won’t make you wealthy. Google hasn’t offered an exact pay scale per viewing rate but from what can be gathered, it’s not the most lucrative in monetary terms – suggestions are you’ll be lucky to receive over £1 per 1,000 hits. One view taken by some in the video creation and vlogging community is that there is little or no point in entering the YouTube Partnership program until your viewership hits the hundreds of thousands. The reasoning here is that people hate adverts and as such they curb the growth of smaller channels and videos and all in exchange for a tiny amount of money. The belief is that by holding off on adverts in the earlier days you can expose quality content and in the long term when viewership is consistent and larger, monetise for the pay-out. If you have a business or a product then it’s a different story. 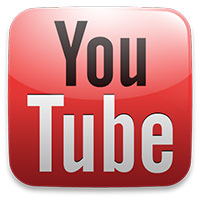 You can simply use YouTube as an advertising medium and direct the audience to your or an affiliate’s website. Using Google’s AdSense in association with vlogging can also help and conversions or clicks to your site or someone else’s can earn you cash. Alternatively, there are a number of crowdsourcing options for those that require money to meet their goals. These can be a good way of getting extra money and it’s becoming an increasingly popular medium to do so. YouTube is a great way to expose your brand to growth, whether it is an unsigned Indie band, an online TV series or a vlog. A number of online shows that have been offered a deal for exclusive screenings via particular marketplaces or channels – The Guild on Microsoft’s Xbox Live Market place is a fine example of this mould of monetisation. When popularity hits, you can then use it to sell merchandise, push other ventures or to teach people about other services you offer. There are numerous online companies that make it easy to both create and sell merchandise. For instance, some vloggers showcase their abilities on YouTube and also offers similar services to businesses, using their videos as an indirect advertisement for their abilities. Essentially, YouTube successful vlogging and also monetisation of a vlog or channel in the long term is about creating a strong, quality network of followers. This means mixing creative quality content with communication and consideration of the comments feedback. All of this comes together to create an affirmative vlogging presence. Using YouTube for business? Speak to our web and viral video production team to learn more and find out how video can aid your digital marketing campaigns.